True sale and synthetic corporate debt securitisation, as well as the securitisation of sales financing, leasing (especially in the car sales industry), factoring and trade receivables, have the potential to play a decisive role in shaping the future of Europe’s business financing. Regulations foresee tighter rules for banks with regard to balance sheet, liquidity and capital. Hence, to support and maintain sufficient lending volumes to the real economy, ABS will provide banks with an important tool to achieve such goals also for risk management purposes; capital market financing for Europe’s business sector will be strengthened as a logical consequence. Yet none of this will happen without securitisations backed by real economy assets. Revitalising the European securitisation market for all types of business-related securitisations should therefore be a main focus in the creation of a European capital markets union. 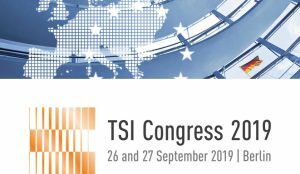 TSI therefore welcomes the approach proposed by the Basel and IOSCO Task Force on Securitisation Markets (TFSM) that involves the use of simple, standardised and comparable securitisations to create secure and attractive framework conditions for investors and originators. However, we also believe that, given the need to improve the framework conditions, which is the subject of intensive debate in Europe, this can only be the first step. The framework conditions in the European financial markets and in the economic structure imply that the intended European capital markets union needs to be based on an intelligent network of bank and capital market financing if the close connection between banks and enterprises is to be maintained. The elements of a network of this kind are already in place and can be clearly seen. A leading role is played by the instrument of securitisation. The TFSM paper deals only with true sale securitisations. This makes sense because clear experience can be drawn upon in that respect. Tried and tested criteria have also been established through the work of the standard setters TSI and PCS in these areas. But on Europe´s path toward a real capital market Union it would be fairly straightforward to include synthetic securitisation instruments as well as the securitisation of asset from industrial, commercial and leasing enterprises in a regulation for a safe and stable securitisation market.